Chester café awarded for serving cyclists! Eureka Café, in Two Mills Chester, has been given the Lifetime Achievement award by the national cycling charity Cycling UK in its annual Cyclist Café of the Year awards. Current owner Anne Peak has been running Eureka Café for the past 17 years, but the café has been going much longer than that, having first opened in 1929. Anne said: "This award is not just for us, it is for our amazing customers too. It is the people who make a place. So many of them have stories to tell about cycling in the area - Eureka is a real community. "We are only a little café, but it's a place where people love to come by bike to." Popular items on the menu include 'beans and spare' - which is beans on toast with extra toast. There is also the special cheese mixture, a recipe passed down from the original founders of the café. Cycling UK’s Cyclist Café of the Year awards were announced on Saturday; there were four other winners, for England, Wales, Scotland and Northern Ireland as well as the Lifetime Achievement award. Hundreds of cafés around the UK were nominated across the five categories online, with a shortlist for each then poured over by a panel of experts. 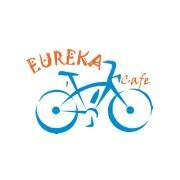 Eureka Café was nominated by its cyclist customers, who praised the café’s delicious range of food, welcoming atmosphere and iconic local status. Matt Mallinder, Membership Director Cycling UK said: “Cyclists depend on great cafes as a place to reenergise with cakes and hot drinks and meet up with others during a day out. These awards say thank you to those cafes whose staff go the extra mile to provide tired cyclists with a friendly face, tasty food and comfy place to take a break.